Aspire Breeze 2 AIO Kit Pod System has a built-in 1000mAh battery. With a new and improved filling method compared to its predecessor. The same compact and ergonomic design but a more convenient pod system that holds 2ml of e-juice, or a slightly larger 3ml version. The great U-tech coil technology ensures you a flavorful vape. 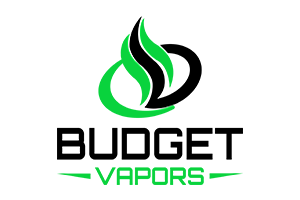 The 1.0ohm coil is recommended for nicotine salt. I bought this in January. I'm very gentle with my belongings so I was shocked that the spare tank I bought suddenly stopped working. The gasket / o-ring on the bottom popped out so the tank no longer could connect. This morning I found my original tank wouldn't stay in the device because the PLASTIC prongs inside that hold it in had broken. Aside from the crap craftsmanship of the device it does put out a good amount of vapor and was great for salt nic and standard eliquid which is why I had a spare tank. Little to no spit back. Charges quickly....but I wish it was made better.